Density gradient centrifugation is commonly used for the isolation of specific cell populations from whole blood. This technique takes advantage of the differences in density between the various leukocytes and the density gradient medium. As a result, the particular cell populations isolated will depend on the density of the medium that is used. 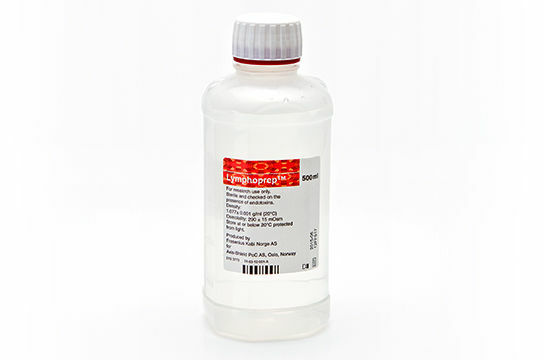 To isolate mononuclear cells (MNCs) from peripheral blood, cord blood and bone marrow, it is recommended to use media with a density of 1.077 g/mL, such as Lymphoprep™ or Ficoll®. For this particular application, diluted blood is layered on top of the density gradient medium and the samples are centrifuged. Granulocytes and erythrocytes have a higher density than mononuclear cells and during centrifugation they sediment through the density medium layer. The less dense mononuclear cells remain at the plasma-density medium interface. This process is greatly facilitated by performing the density gradient centrifugation in a SepMate™ tube. For more details on how to perform this technique watch this video on how to isolate MNCs from whole blood using density gradient centrifugation. 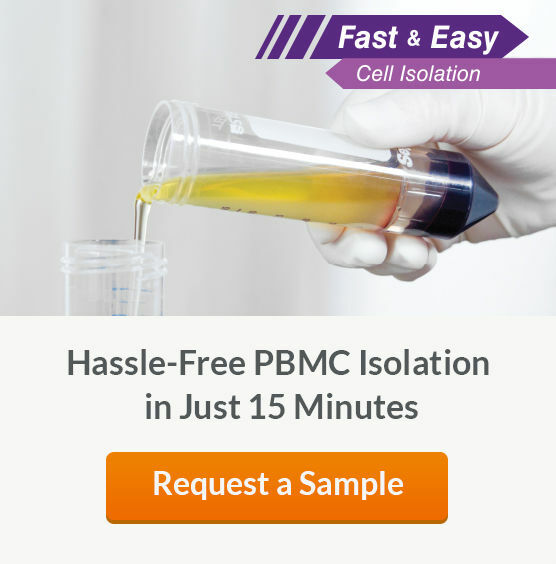 Speed up, standardize and simplify the isolation of peripheral blood mononuclear cells (PBMCs) by density gradient centrifugation with SepMate™ . This specialized tube contains an insert that prevents the sample and density media from mixing so you can isolate PBMCs in just 15 minutes. 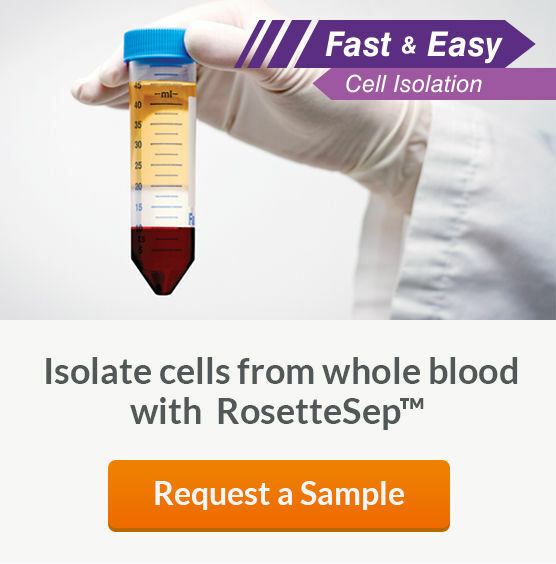 Isolate a specific subset directly from whole blood during the density gradient centrifugation process with RosetteSep™. By crosslinking unwanted cells to red blood cells (RBCs) present in the sample, the desired cells are purified during standard density gradient centrifugation. 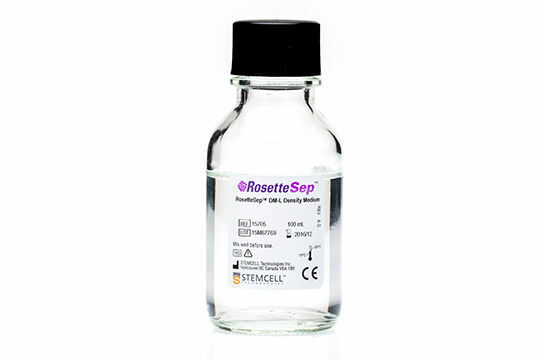 RosetteSep™ is easily combined with SepMate™ to increase sample throughput and eliminate user errors associated with improper sample layering or PBMC harvesting.